In addition, CFD can also calculate the heat carried by a fluid (heat transfer), so you can simulate the natural convection of a heating system, or the forced convection of a computer cooling system. 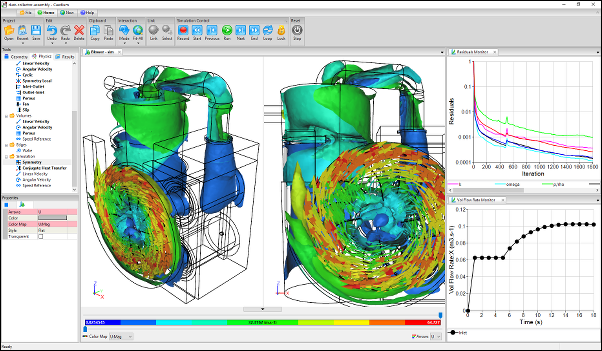 Temperature and heat flux from your CFD simulation can help determine whether your design can satisfy the task at hand. 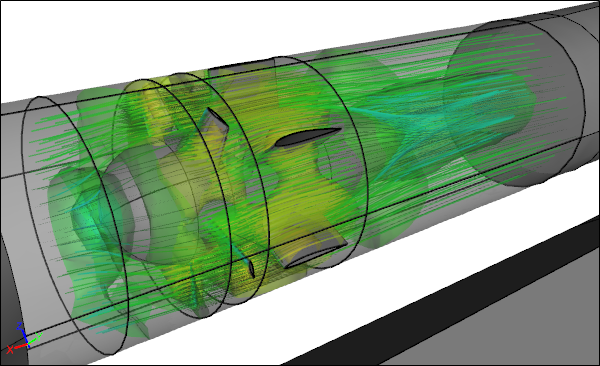 Industrial CFD typically solves the Reynolds-Averaged Navier-Stokes (RANS) equations in time-independent or time-dependent forms. 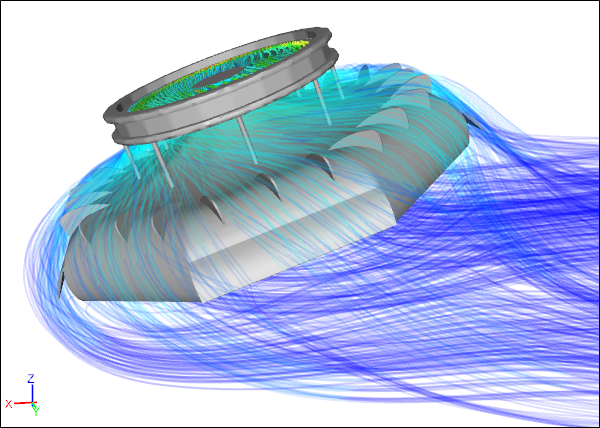 In combination with a suitable turbulence model this approach has proved to be extremely successful in tackling a wide range of industrial fluid flow applications. Why is Computational Fluid Dynamics Useful? 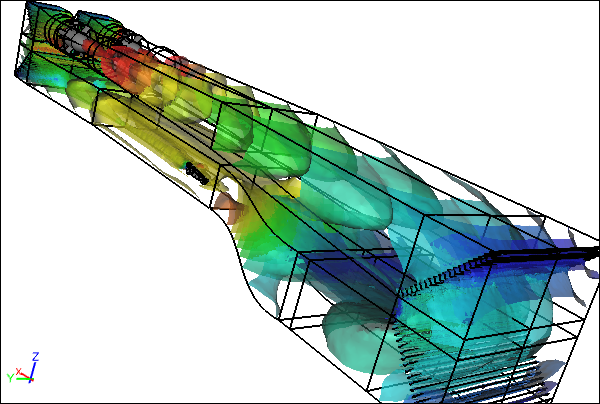 CFD is a timely and cost-effective alternative to physical flow testing. However, rather than competing with physical flow testing, CFD is often used in a complimentary role. For example, final design evaluation might rely on limited physical testing after an extensive CFD evaluation to reduce the number of prospective designs during the concept design phase of a project. Wind tunnels, and other forms of physical testing, often use scale models for flow analysis, which introduce Reynolds Number dependencies and the need for empirical correction factors in order to mimic full-scale results. 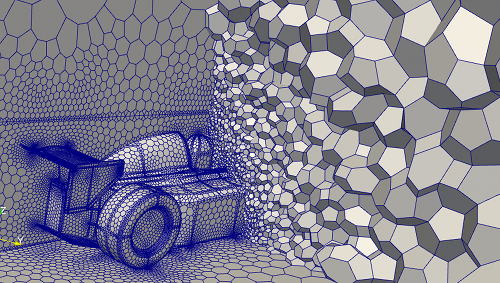 In contrast CFD can simulate the air flow over a full-size car without the need for correction factors, using a full-size digital CAD model. 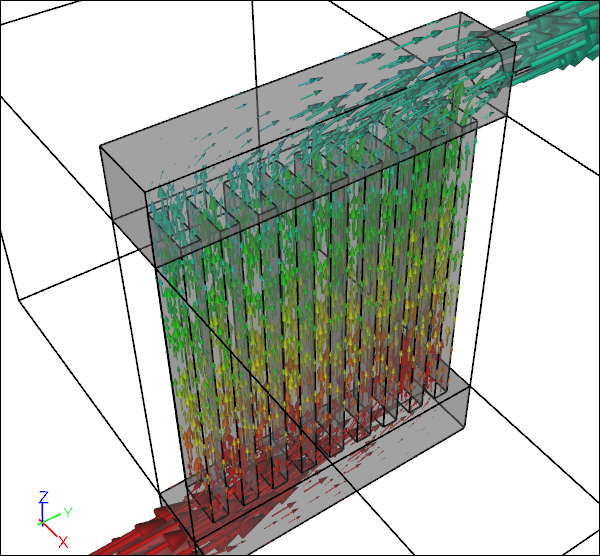 CFD can produce all the results you would expect of physical tests (e.g., lift, drag, and pressure loss) and in addition it also provides easy access to flow fields (e.g., velocity, pressure) on surfaces and within the bulk of the fluid for insightful 3D flow visualization. What Applications can Computational Fluid Dynamics Simulate? Broadly speaking there are two main categories of applications. How to do Computational Fluid Dynamics? CFD is a totally digital form of analysis. Starting with a CAD model you typically create a flow volume to represent the region the fluid occupies. The internal region where the fluid resides is discretized into what is typically called a mesh. Solver and turbulence model selection is typically dependent on your application and flow speed (e.g., incompressible flow). Next boundary conditions, material properties, and initial conditions are assigned. CFD uses an iterative approach to reach a solution, so the simulation is 'run' until the difference (residuals) between one iteration and the next is within an acceptable tolerance, called a convergence criteria. While CFD can run on the largest and fastest supercomputers, it can also run well on a high-performance multiprocessor/multicore workstation/laptop. 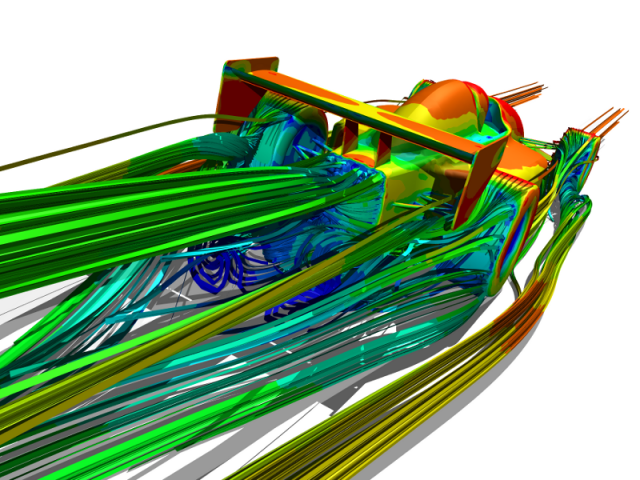 Once a CFD simulation is complete, the results can be visualized in many different ways.